Tartrate stabilization is an important phase of winemaking process. The presence of tartrate crystals in bottle is not desired by consumers, so producers need to make this stabilization in a more reliable way. Among the two possible strategies to achieve the stability, the subtractive and the additive, the latter is surely the most sustainable and respectful of the original wine composition: it consists in adding to wine substances that inhibit formation of crystals. Based on these considerations, a major European project, Stabiwine, which involved many partners creating interesting synergies between different competences, was born in 2012. In 5 years of research, a new additive was developed, potassium polyaspartate (KPA), a stable polymer of L-aspartic acid, able to totally inhibit the formation of tartrate crystals even in highly unstable wines, without color loses and without effect on wine filterability. After a long approval process that led to the inclusion of KPA in the list of food additives within the EU, on October 28, 2017, the EC Regulation no. 1961/2017 definitively authorizes the use of potassium polyaspartate (KPA) as oenological practice in the European Union. The audiovisuals proposed in this item, presented in a module dedicated to this new additive at Enoforum 2017, describe the main strengths of this molecule. Gianni Triulzi, Enartis R & D Manager, compares the KPA with other stabilizing additives demonstrating their validity but also proposing innovative strategies that exploit the synergies between different stabilizing additives. Paola Domizio, GESAAF, University of Florence, shows the results of a research aimed at assessing efficiency, thermal stress stability, color interaction and KPA wine effects. 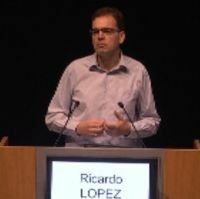 Finally, Ricardo Lopez, University of Zaragoza, illustrates the results of a study to test the influence of three different treatment modes for tartaric stabilization on wine aroma.